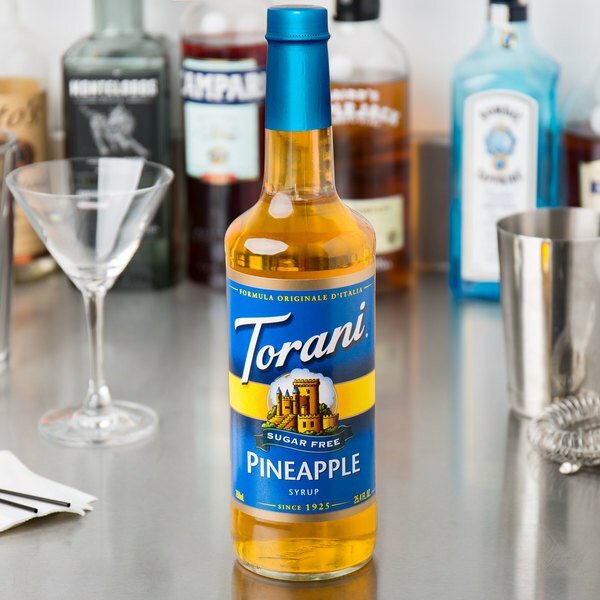 Bring all new flavors to your specialty drink menu with this Torani sugar free pineapple flavoring syrup! It's sweetened with Splenda brand sweetener, which offers the taste of real sugar without the calories. This tempting flavor will complement your beverages without overpowering them or being too sweet, while the user-friendly bottle will be convenient for your busy baristas to use. Torani flavoring syrups are specially formulated to resist curdling in milk and to hold up well under heat, making them the perfect choice for espresso-based drinks, brewed coffee or tea, and more. Use this flavor for hot or iced teas, sodas, smoothies, and even baking! One splash of flavoring syrup goes a long way, and this sugar free pineapple syrup is sure to add a delicious tropical flair to your signature drinks. Create skinny cocktails, like a classic skinny pina colada, sugar free iced teas, or blend together a sweet and creamy sugar free fruit smoothie! 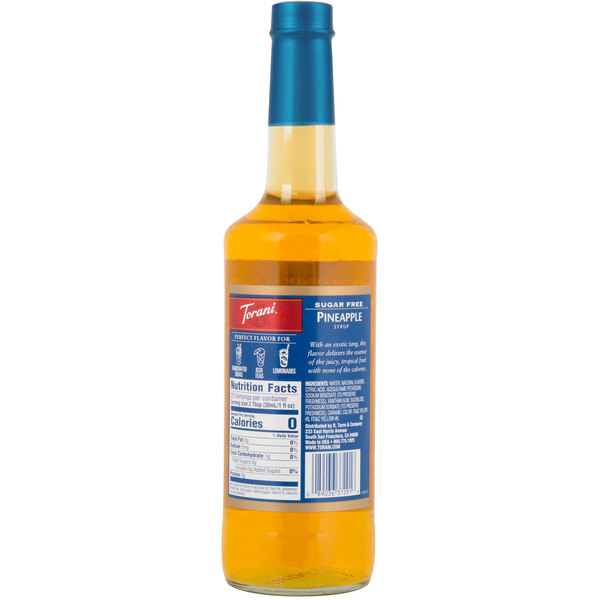 I have tried a lot of these sugar free syrups and for the most part they taste similar to the original. Pineapple sugar free is the first one I think tastes better than the regular. the pineapple syrup is spot on when it comes to imitating the natural flavor of pineapple. we use it to make a pineapple upside down cake that is a hit with out customers. 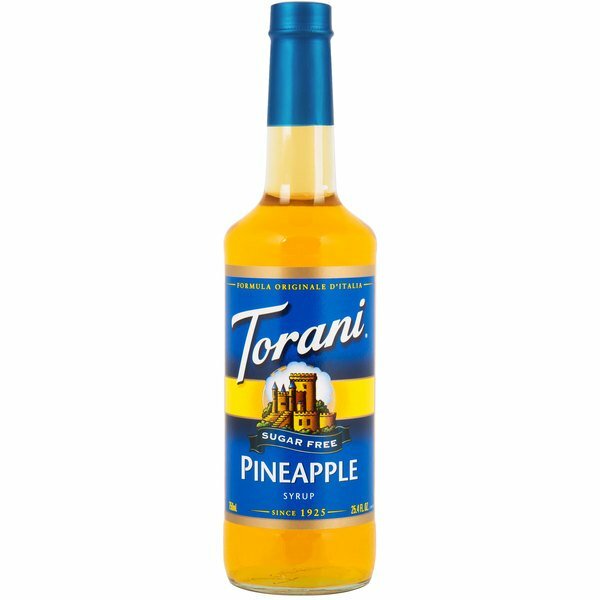 This syrup is amazing for pina coladas. I used a toasted coconut flavoured coconut milk (very coconutty flavour), added some pineapple flavoring, and it was utterly delicious. If you are looking to cut down on calories and carbs for a pina colada, this was an A+. Love offering a wide variety of sugar free options for our customers. The pineapple syrup is great. A nice flavor and perfect coloring make this syrup a keeper.